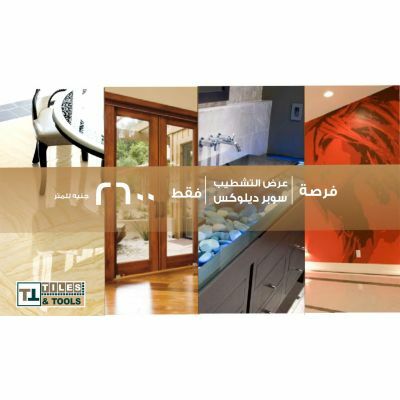 Tiles and tools offers decoration services to its huge clientele in Egypt at affordable prices. Our interior designers and engineers has years of experience in their respective fields and they work hand-in-hand with you to design and decorate your home. One amazing decoration option is super dulux finishing which is specifically designed to give your building a royal makeover. The super dulux finishing consists of marble and HDF flooring, ceramics for bathroom, luxurious plastic paints, suspended ceilings, lights, doors, plumbing, bathroom equipment, mixers and electricity finishing. All of these items are available at tiles and tools and they are of the best quality. Explore through our website and get the products you want for your home.